If there's one cuisine we rarely go out for it's Italian (if you excuse the 13,254 pizzas we've eaten in the last year), for us we've never really found anywhere that's wowed us so we've always felt begrudged to go out and spend our hand earned cash on something we can make pretty damn well at home... that was until we tried Sugo. After being told thousands of times by a ridiculous amount of people that Altrincham's tiny restaurant is next level when it comes to all things Italian we eventually caved and booked ourselves in one night after work (it's recommended you book as they have no more than 30 covers and that's including the tables out the front). 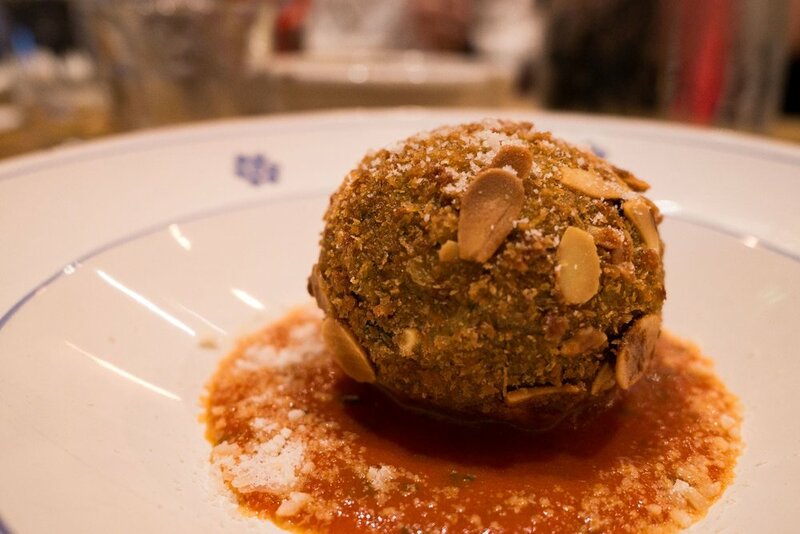 The moment you step in this place you feel a sense of homeliness, like you've just entered an Italian families home and that they've welcomed you with love and open arms. The open kitchen sits proudly at the back of the restaurant which you can see from any of the big chunky wooden tables in the front. 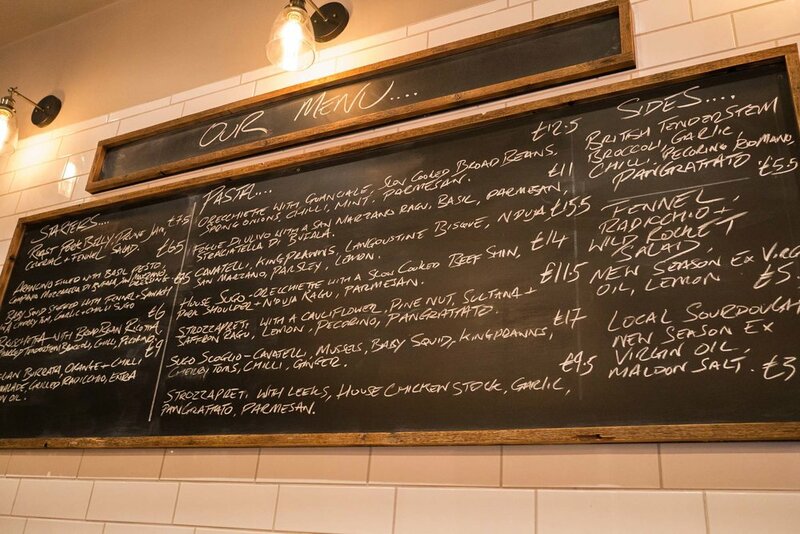 The full menu is handwritten on a huge chalk board with takes centre place in the restaurant, although there's a printed version too so you can browse at your own leisure. The menu is concise but well considered with less than 20 items and that's everything from starters and mains to sides and desserts but that won't make it easy to choose because everything sounds so good. As there was 4 of us we each picked a different pasta for our main and found ourselves exchanging for a small taste of everyone's, like a pasta version of pass the parcel. It was lovely to see that each dish had used a different variety of pasta and the plating felt really genuine too with a different chintsy plate for each. 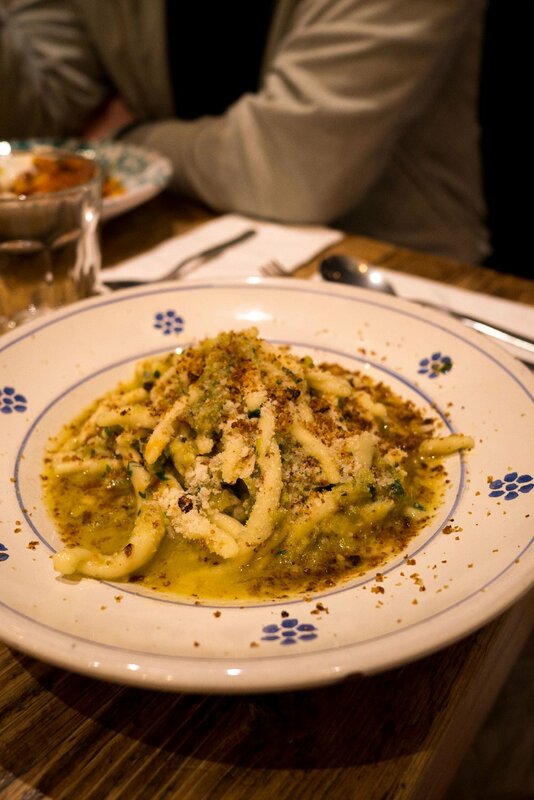 The house special cannot be missed, a delicate but rich dish of orecchiette with slow cooked beef shin, pork shoulder, nduja ragu and parmesan, even just writing that has us drooling over the keyboard thinking back to how good it is. The affogato for dessert was a no brainier for us, the simple combination of ice cream, espresso and amaretto can never be beaten and is the perfect way to finish a pretty rich 3 course meal. The menu changed the week after we visited so you can't get everything that we ordered but there's a few that do still feature. We'd definitely love to get back down to try the new stuff so you'll no doubt see that gracing our Instagram stories at some point in the not so distant future! Word on the street is that they're soon to be opening their second site in Ancoats too so you might not have to travel out of Manchester for your pasta fix.